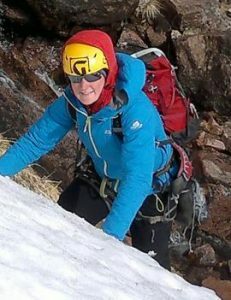 Nicola is an experienced Summer Mountain Leader and a UKCC level 2 Paddle Sports Coach. She works as a freelance instructor to provide training in the UK and overseas. Nic has travelled extensively spending time in the Alps, Dolomites, Andes, Himalaya and New Zealand Southern Alps. She has also travelled in Mongolia, Borneo and SE Asia. When Nic is not in the mountains or on the river she is a tutor of First Aid. Nic has a keen interest in NLP and how it can be used to help you work towards personal goals.